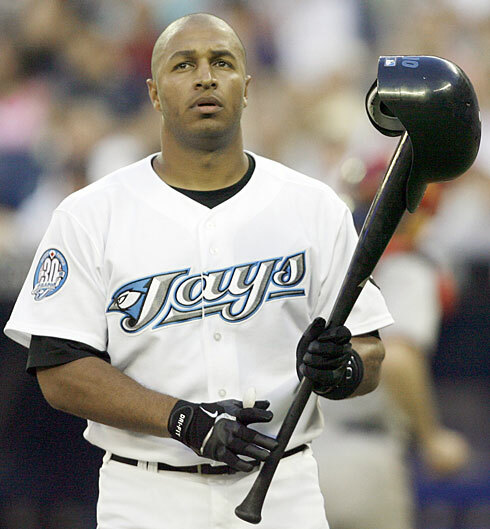 Vernon Wells will receive a huge salary bump this year as part of his 7-year $126 million salary extension granted by former Blue Jay GM J.P. Ricciardi. If the season unfolds as expected, Vernon Wells should easily take Barry Zito’s title as the major league’s most overpaid player. Wells expects a combination of injuries, effort and supporting cast will enable him to achieve this milestone. In a related story, Santa Claus is rumored to be offering Ricciardi a position on his Christmas Board of Directors. Santa was attracted to J.P.’s gift giving ability and has glowing references from former players Frank Thomas, Corey Koskie and BJ Ryan who, for the purposes of disclosure, all confirm they are still being paid. Reflecting fondly on his time with the Cardinals and the emergence of Chris Carpenter, Walt Jocketty is also expected to file a recommendation.